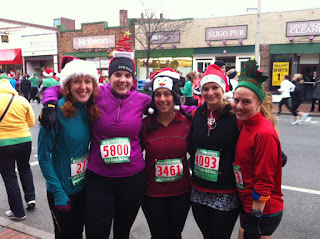 On Sunday I took a friend up on the offer of using her bib (thanks Catie) and joined some friends for the Jingle Bell 5k. The plan was for J and I to bring up the rear. We had Lauren join us. We had a great time chatting and running. I even commented how nice it was that a 30min 5k which use to be killing myself was now a fun run. I think I even have some new 5k PR pace buddies! 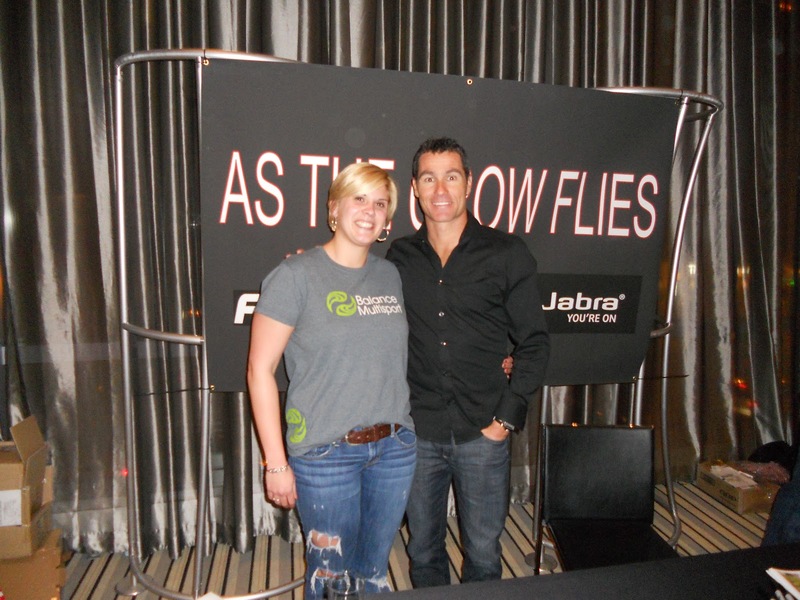 And the week before I even got to go meet a World Champion Ironman! Craig Alexander aka Crowie did a book signing in Boston. I got a book signed listened to a great 2 hour Q and A session. 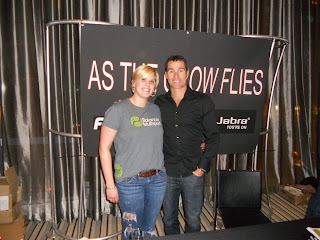 And even bent his ear a little about triathlon after having hip surgery when he signed my book. He is a great down to earth guy and a fantastic ambassador for the sport. I am really trying to take a fresh look at things lately, really trying to be grateful. I can't believe the great season I had. Just about every race I did was a new PR my times just continued to drop. 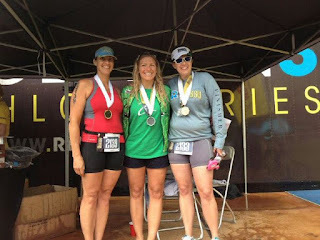 I am shocked that with the exception of Timberman I placed in every triathlon I did this year- to include Quassy 70.3. I flat out was a top 3 finisher in a swim race- how effin cool is that! I had fun this season and had a great year! I luckily got to train with friends and race with them. I have even started to challenge in my own mind what my run speed actually is, which is a pretty cool thing. I have far surpassed my goal of 2000 miles for the year- almost 2400 already. I have started taking at least weekly bikram yoga. And even started another weekly class of computrainer classes! I think (hope) this bike work pays off next year! Can't hurt right? I am grateful for an awesome season of great results, injury free and even some wins! I am so excited about the new challenges I have pushed myself to try. I am excited to see what the 2013 season will hold. I have started coming up with ideas since my 30th Birthday falls in there!!! How did your season turn out? Are you trying new things this off season? What are your plans for next year? Hope everyone has a Merry Christmas!